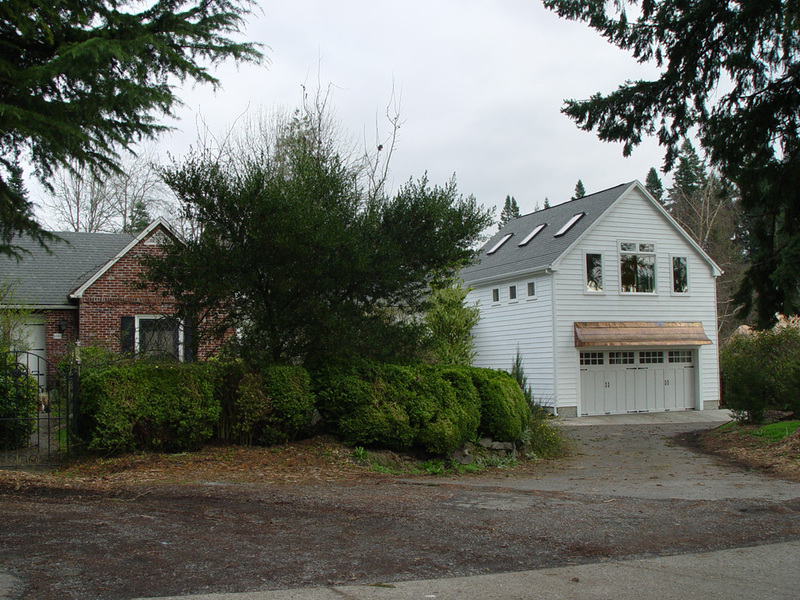 In this addition we added a two car garage along with storage and a large canning area for the clients extensive urban farm/ garden. 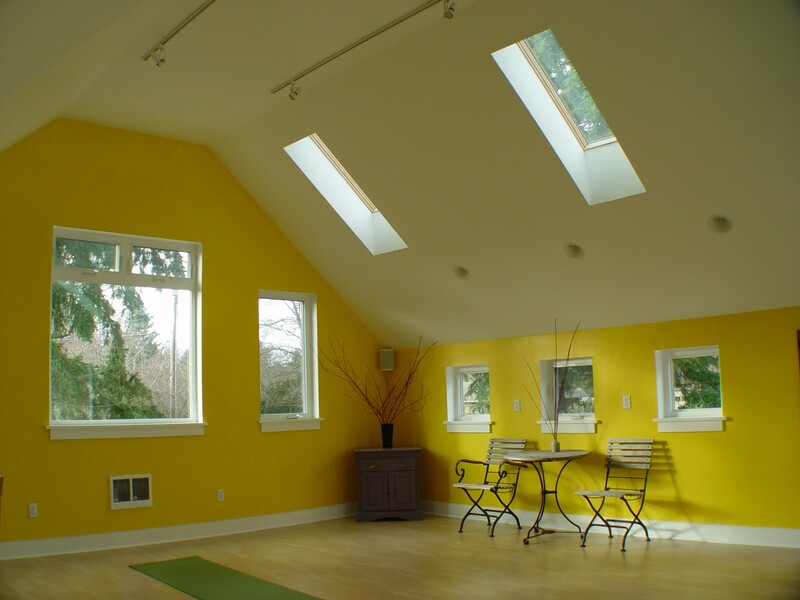 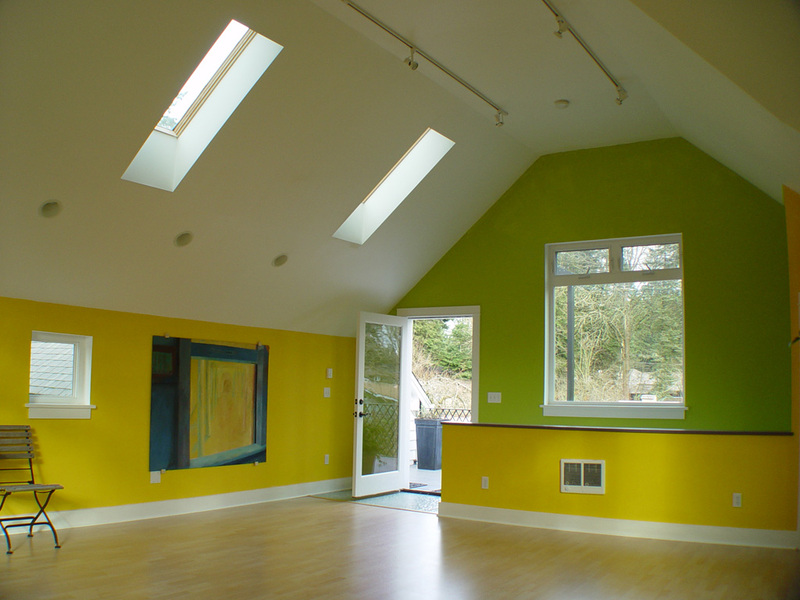 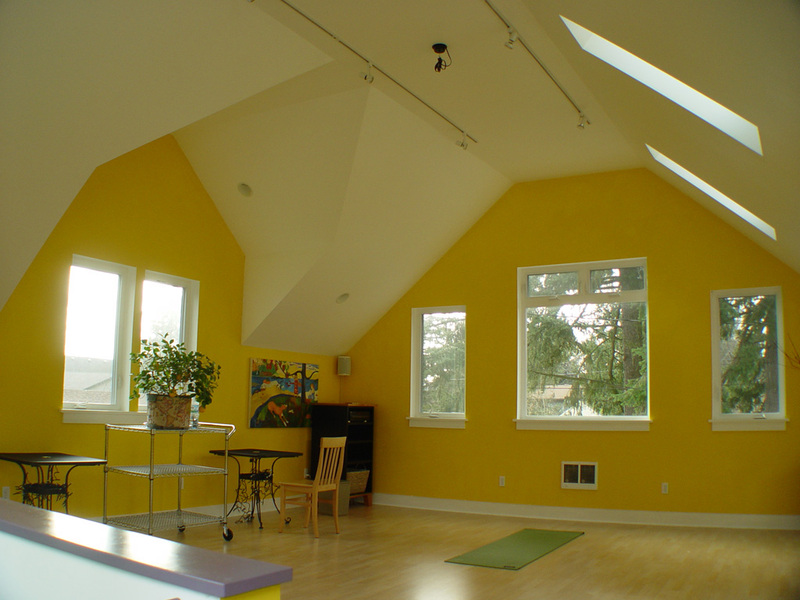 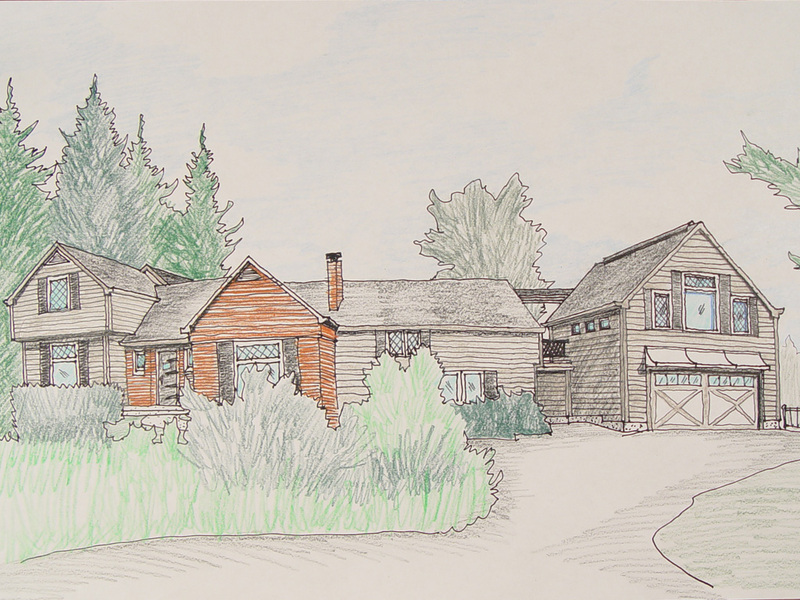 Above the garage is a 1,000 SF flexible light filled loft space with large windows and skylights that accommodates family room use, yoga and painting studio. 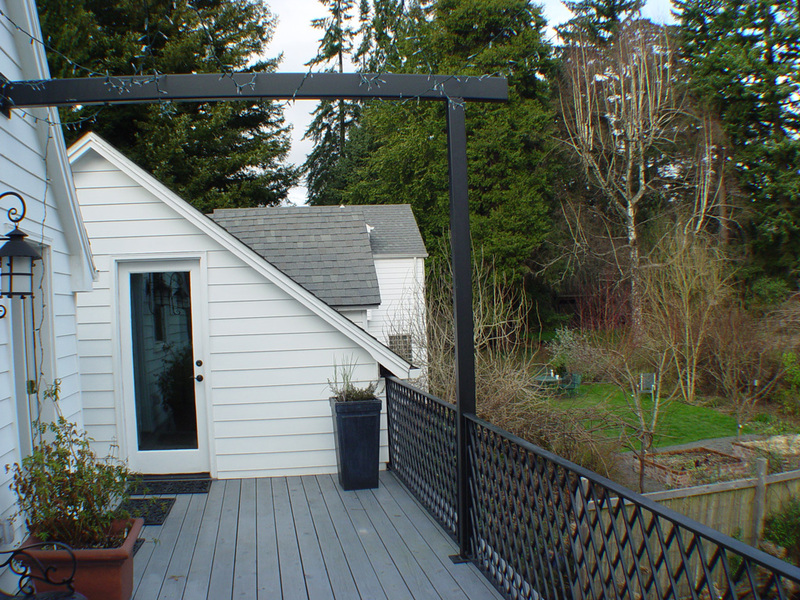 Off the loft is a large outdoor deck with overhead trellis that overlooks the garden and can also be accessed from the main houses second floor bedrooms.